My own version of a month long cleanse based on the CLEAN book but without buying the supplements and shake powders but simply following the include/exclude list and learning what works for you in the process. For me, it feels nice to reset your body once per year. Complete Meal Plan from Clean with Recipes: this is a complete 3 week plan including clean recipes that you can edit or move things around as you like. 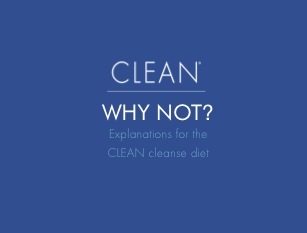 Cleanse "Why Not" Guide from Clean: interesting explanations for not eating certain foods while on the cleanse. 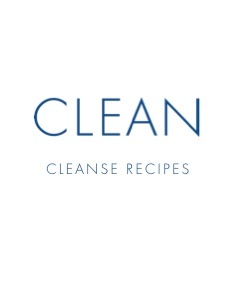 Cleanse Recipes from Clean: many pages of recipes to make your own plan, or supplement your meal plan. Cleanse Manual from Clean: the cliff notes to the cleanse and the Clean book.